Tyson Alualu is sticking with the Pittsburgh Steelers. The Steelers re-signed the defensive lineman to a two-year contract on Friday that will run through the 2020 season. The 31-year-old Alualu has 61 tackles, with four sacks, in 31 games for the Steelers after signing with the team as a free agent in 2017. The veteran has started seven games for Pittsburgh, providing the defensive line with depth behind Cam Heyward, Stephon Tuitt and Javon Hargrave. Alualu spent the first seven seasons of his career with the Jaguars, who selected him with the 10th overall pick in the 2010 draft. He has 21½ career sacks and has proven durable during his time in the league, missing just three games across nine seasons. 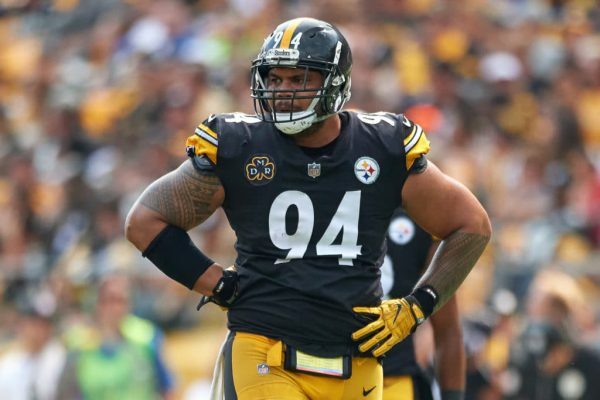 Be the first to comment on "Steelers Re-Sign Defensive Lineman Tyson Alualu"